COME SEE US AT OUR NEW COMMUNITY STUDIO ON NORTH MONROE IN SPOKANE! Be Still Kids believes all kids benefit from daily mindfulness practice. 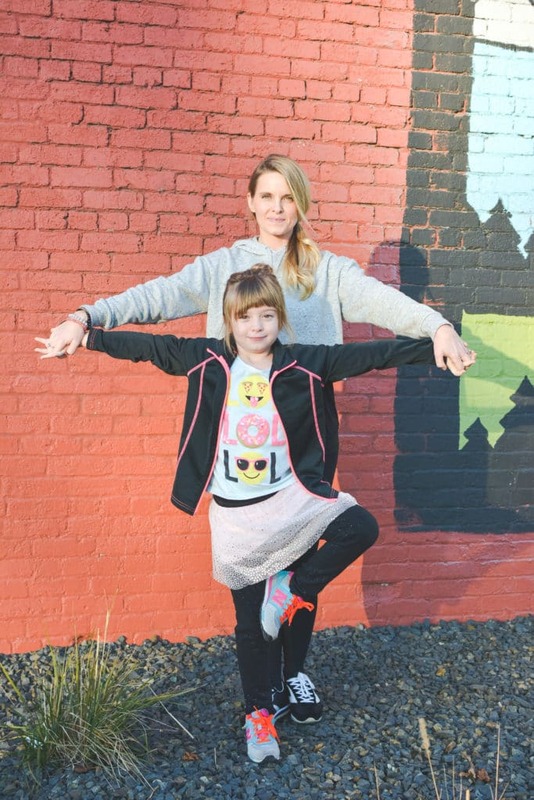 Our mission is to introduce kids to mindful habits and guide them toward empowerment, confidence, and self-awareness through yoga and mindfulness. Our goal is to help kids develop everyday routines and lifelong habits that lead to health and happiness, mindful learning and living, and the development of their identities as global citizens. 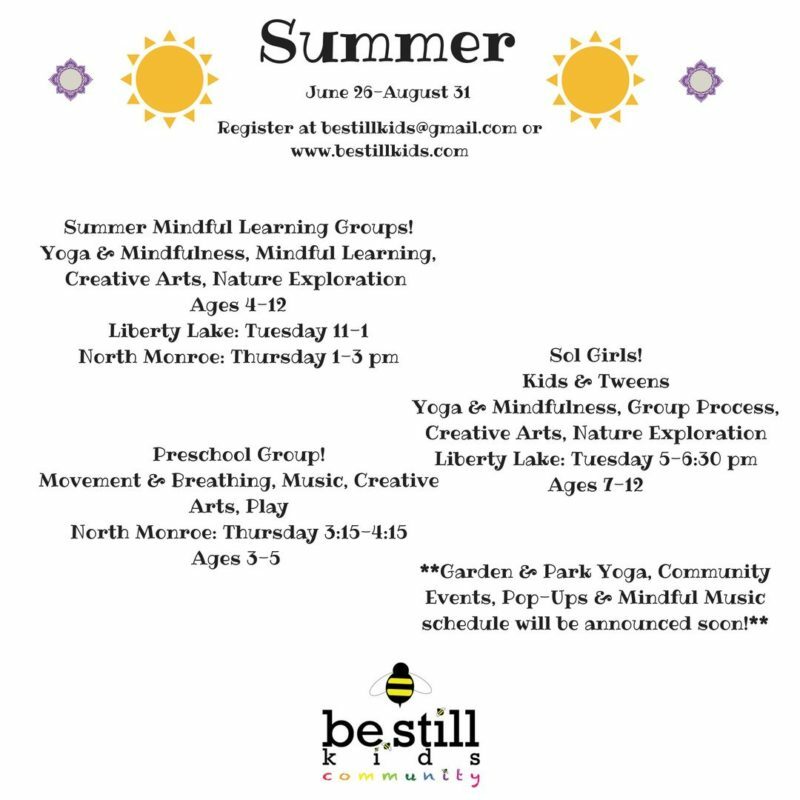 We offer a variety of yoga and mindfulness programs for kids, workshops for parents and teachers, community outreach programs, and research opportunities throughout the region and beyond. 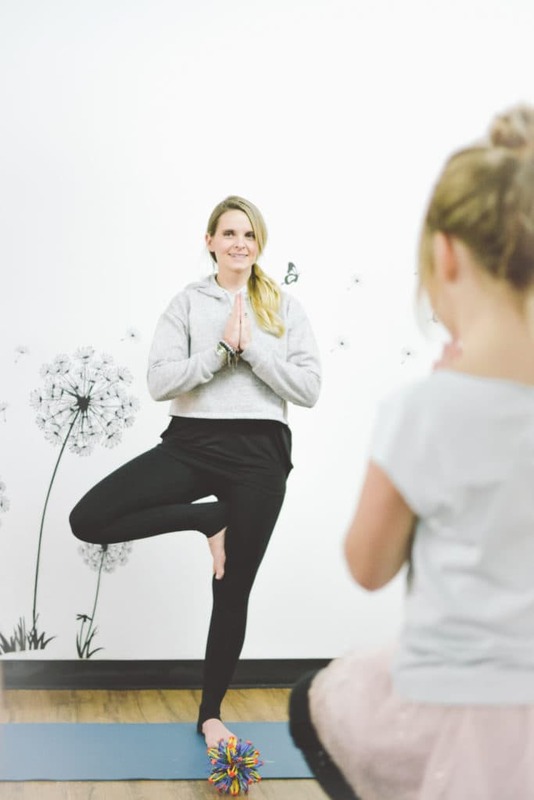 Our Kids Yoga & Mindfulness Teacher Trainings are the most comprehensive and intensive available, aligning with national standards and culminating in certification. Take a look at all of our offerings and find your best fit! We are excited to be on this journey with you. To introduce kids to mindful habits and guide them toward empowerment, confidence, and self-awareness through yoga and mindfulness. 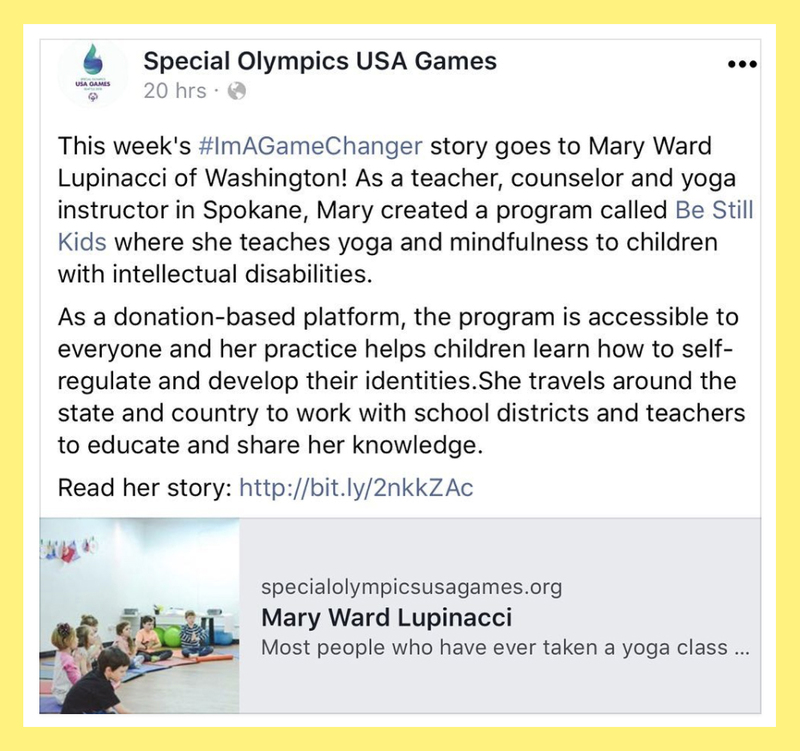 This was such a sweet thing to see this morning—a little shoutout for Be Still Kids as the #IAmAGameChanger story for the week. Like with anything media-related it’s not all entirely accurate, but the recognition and sentiment are very nice. Inclusion has been at the center of all my work since I started as a Camp Counselor with the Easter Seals Organization in 1999 and then moved into a career of inclusive teaching and counseling. For me, yoga and mindfulness IS inclusion. 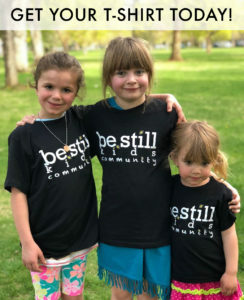 Our Be Still Kids programs provide a space for ALL kids to develop their identities, explore the connection to their minds/bodies/emotions, build confidence, and be in inclusive community. Visit the Special Olympics USA Games to read the full story or find volunteer opportunities with their organization! We offer training both online and in-person for teachers and yoga teachers alike. Expand your knowledge base, get certified, and add mindfulness for kids as part of your practice.